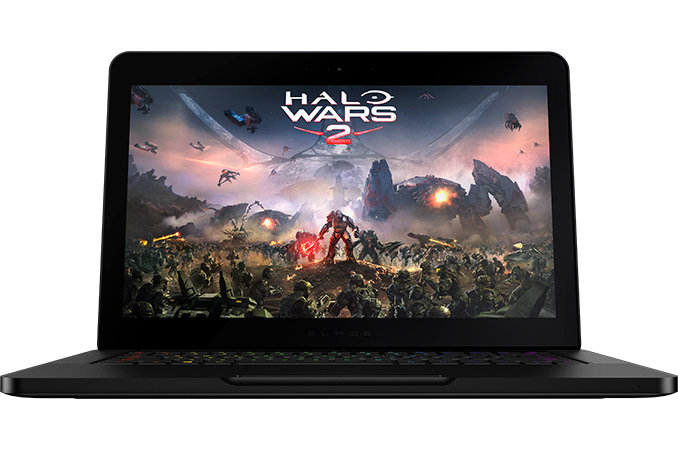 Razer this week introduced an upgraded version of its latest Blade laptop that is now powered by Intel’s quad-core Kaby Lake processor along with DDR4-2400 memory and has 4K display and 1 TB SSD options. The 14” gaming notebook uses the same 17.8 mm-thick chassis introduced last year and has the same I/O capabilities, but some minor differences in weight. Meanwhile, it is important to note that the entry-level Razer Blade now costs $100 less than it used to last year, but at the expense of a lower-resolution display. 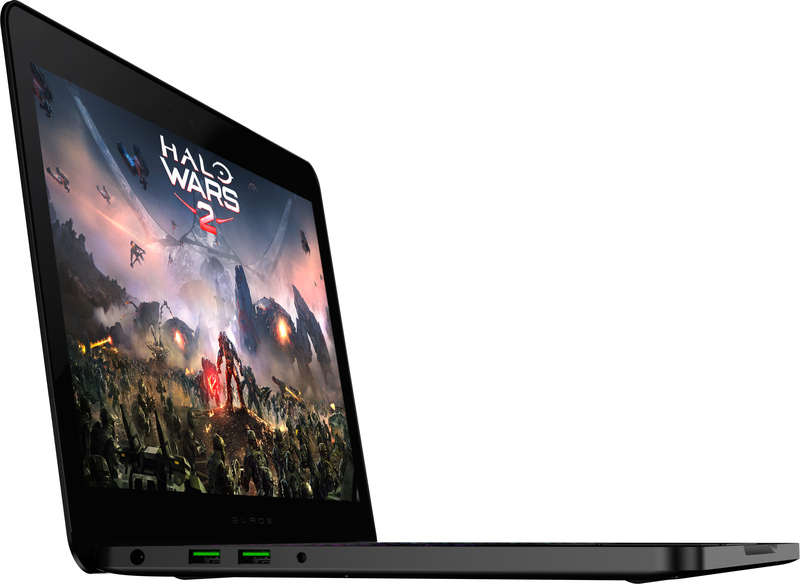 The new Razer Blade is based on the Intel Core i7-7700HQ (4C/8T, 2.8/3.8 GHz, 6 MB, 45 W) processor as well as the HM175 PCH (so, the same motherboard as before). The new chip is powered by the Kaby Lake microarchitecture, has higher frequencies compared to its predecessor that was used in last year’s Blades (Core i7-6700HQ) and supports Speed Shift v2 technology as well as other improvements. Along with the Kaby Lake CPU, the new Blade also got 16 GB of faster DDR4-2400 memory (soldered to the mainboard). In addition to 256 GB and 512 GB M.2 (NVMe/PCIe) SSDs, Razer now also offers a 1 TB PCIe drive as an option. When it comes to graphics, the new Blade uses NVIDIA’s GeForce GTX 1060 with 6 GB of GDDR5 memory and an HDMI 2.0b output, just like the predecessor introduced last fall. Apart from the CPU and DRAM upgrades, Razer changed display options for the latest breed of Blade laptops. Last year the company only offered its Blades with touch-enabled IGZO LCDs featuring 3200×1800 resolution, and a matte 1920x1080 on the entry level. This year the higher-end Blade machines will feature touch-enabled UHD displays (3840×2160). 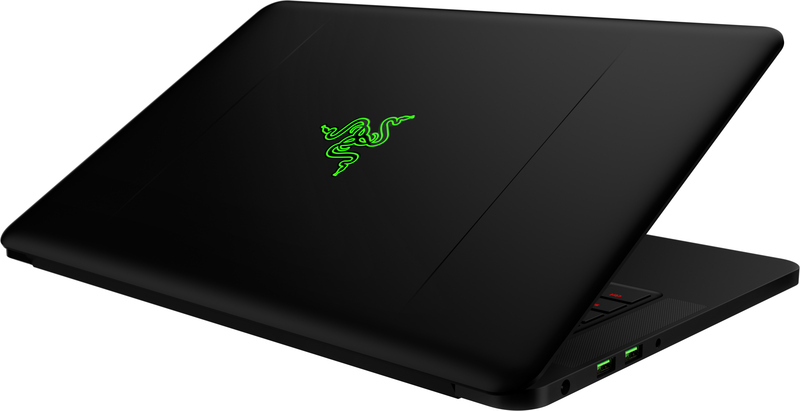 Usage of the lower-resolution panel allowed Razer to reduce the price of the entry-level Blade to $1899 (or by $100), but at present we do not know how much the 4K SKUs is going to cost. In any case, systems featuring FHD panels will be slightly lighter and will have a longer battery life than models with UHD monitors. We haven't heard back from Razer on if the new UHD display continues to be a Sharp IGZO panel or not. Apart from displays, different Blade systems will look and feel exactly the same: both use a solid CNC-milled aluminum chassis with a matte black finish. Dimensions 13.6" × 9.3 " × 0.70"
As for the rest I/O capabilities, they remained very similar to those of the last year’s Razer Blade models (because the chassis and the motherboard are the same as those used on the late 2016 Blade): Rivet Networks' Killer 1535 802.11 2×2 Wi-Fi + BT 4.1 controller, one Thunderbolt 3/USB 3.1 Type-C port, three USB 3.0 headers, an HDMI 2.0b output, a 2 MP webcam, built-in speakers and a microphone, a TRRS audio connector, a keyboard with RGB backlighting and so on. In a bid to appeal to those who care about security, there is a TPM 2.0 security chip installed. The new Razer Blade notebooks with FHD screens are available now in North America and Europe starting from US$1,899/C$2,749/€2.149/£1.799. The laptops with 4K UHD panels will be available in Q2 and Razer does not have pricing available at the moment, but expect it to be similarly priced to the outgoing QHD+ model.
" I'm glad we can both agree that it's pretty silly"
Really it's rather arbitary whether you claim the 1060 is mid range or low range so it's an argument not worth having :). I used to think 5.5" 4K smartphones were ridiculous and pointless however now after owning one there is something to be said for increased image quality at this res and size. It's not something I think is necessarily worth much but if you can have it there is a difference in quality. Absolutely for gaming, it's ridiculous.